Netflix Inc announced plans to complete its global expansion over the next two years, faster than expected, despite decreasing subscriber growth in its domestic market. The US video streaming service plans to expand its global reach to around 200 countries. The company said that it currently has establish operations in about 50 countries and has improved its knowledge over consumer’s preferences. Netflix said it could achieve its goal faster than expected, while also staying profitable, due to the tremendous growth of the Internet in general, its previous time frame was five years. The company said it would maintain its current ad-free subscription model during the expansion. “With the growth of the Internet over the next 20 years, there will be some amazing entertainment services available globally. We intend to be one of the leaders,” the company said in a statement. At the end of the fourth quarter Netflix had $1.6 billion in cash and equivalents and said it would look to increase its long-term debt by at least $1 billion, considering the favorable interest rate conditions, in order to support its accelerated expansion. The company added 4.3 million new subscribers to its member base of 57.4 million during the three months through December, up from Netflix’s forecast. However, new US members stood at 1.9 million compared to a 2.3 million in 2013. 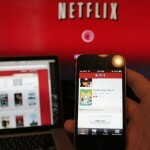 Netflix laid out plans to steadily increase US profit margins with 2% each year, despite lower subscriber growth. The company hopes to reach profit margins of 40% by 2020, when it will re-evaluate its targets. The video streaming service projected it would attract an additional 1.8 million US subscribers in the first quarter of 2015 to a total of 4.05 new members during the period. Net income for the fourth quarter climbed 72% to $83.37 million, or $1.35 a share, compared to a net income of $48.42 million, or $0.79 a share. Revenue for the three months stood at $1.48 billion versus $1.18 billion a year earlier. In comparison, analysts had projected revenue of $1.49 billion. 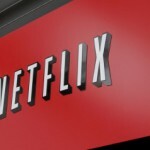 However, Netflix’s international division reported an operating loss of $79 million in the recent quarter, compared to a negative result of $57 million in 2013. Netflix Inc edged up 3.4% on Tuesday and closed at $348.80 on NASDAQ, marking a one-year increase of 5.68%. The company is valued at $20.32 billion. On Wednesday the stock jumped 15.83% to $404.00 at 9:08 GMT in pre-market trading. 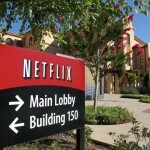 According to the Financial Times, the 38 analysts offering 12-month price targets for Netflix have a median target of $412.50, with a high estimate of $600.00 and a low estimate of $245.00. Author: Lyubomir Dimitrov Lyubomir is a financial news writer and editor at Binary Tribune, engaged with covering the latest tendencies in the global financial markets.